Justice rolls like a river. The Lamb’s blood flows. Mercy and Justice flow from the throne of God. 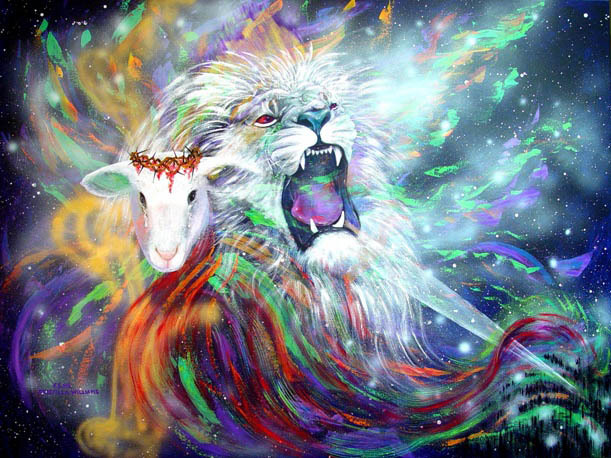 This painting encounters the viewer and challenges them to fear the Lord God Almighty as manifested through the Lord Jesus Christ.